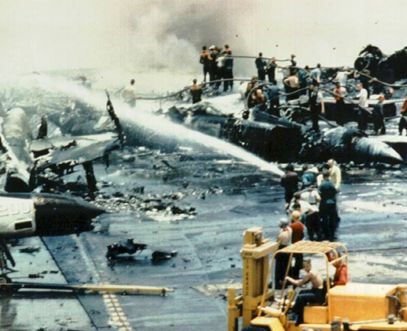 On July 29, 1967, while the war waged in Vietnam, the carrier USS Forrestal worked methodically to provide much needed air support for allied troops on the ground. As the flight deck crews worked to launch waiting jets loaded with munitions into the air, a Zuni rocket accidentally fired, striking a wing-mounted fuel tank on an A-4E Skyhawk. 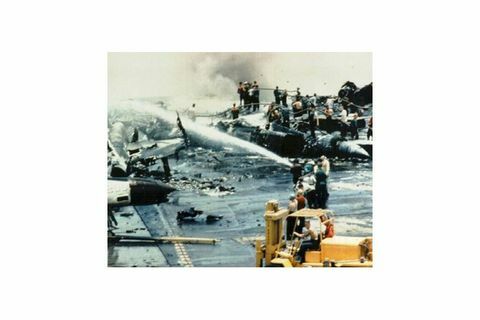 The impact ruptured the tank and ignited a stream of jet fuel that immediately spread beneath the waiting jets. While pilots scrambled to free themselves and their comrades, one sailor, Chief Gerald Farrier of Damage Control Team No. 8, raced toward two 1,000-pound bombs which had fallen off the wing and were now engulfed in flames. Armed with a just handheld extinguisher and no protective gear, Farrier hoped to keep the flames from igniting the bombs before the pilots had a chance to escape. The best bombs of the day could withstand the flames for just 10 minutes before igniting, but Farrier recognized these as an older, even less stable variety and, less than two minutes after the fire encircled them, shouted for his teammates to withdraw. But it was too late. make munitions less sensitive to external threats. These “insensitive ordnance” would become available to the fleet and a name for a new generation of munitions was born. of ordinance items, including warheads, bombs, and of course rocket motors. As a leader in the development and production of propulsion systems for air-, sea- and land-based missiles, Orbital ATK has been at the forefront of insensitive munitions research for more than a decade. 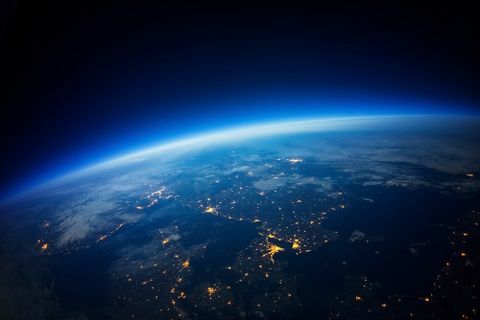 In collaboration with the U.S. government, Orbital ATK has heavily invested the company’s talents and resources in the development of IM technology. Orbital ATK has evolved a three-pronged approach to solving the IM problem affordably. 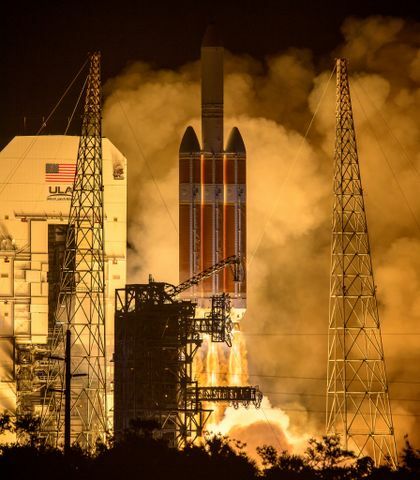 First, the company developed more stable propellants and explosives which are less susceptible to accidental reaction. Advanced motor cases that use composite materials, which not only improve the IM response, but save significant system weight, were also developed. Although composites are nothing new, previous attempts to use them in tactical rocket motor cases resulted in components that were exponentially more expensive than conventional cases. 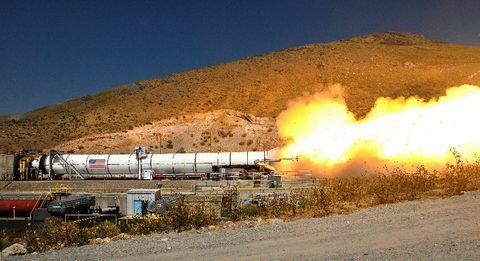 Orbital ATK’s Allegany Ballistic Laboratory (ABL) has developed manufacturing processes to build bonded enclosure (BEC) composite rocket motor cases as reliably and affordably as conventional metal cases. Orbital ATK engineers also designed features that can safely vent these cases in the event of exposure to fire or high temperature. A still frame from test footage of bullet impact test on 7-inch Orbital ATK rocket motor, which surpasses current IM requirements. Today Orbital ATK is integrating these technologies into programs like Hellfire, Guided Multiple-Launch Rocket System (GMLRS), Rolling Airframe Missile (RAM) Block 2 and Joint Air-to-ground Missile Rocket Motor (JAGM), as well as other tactical rocket motors in development. “IM really is the future for all our missile component programs at Orbital ATK,” said Ken Tappe, Director of Business Development for Orbital ATK’s Missile Products Division. “We look at every tactical missile system currently in the field and see opportunities to reduce risks for our warfighters, without adding costs to the taxpayer." In addition to its commitment to IM, Orbital ATK has been pioneering work in another critical component to safer munitions: Ignition Safety Devices, or ISDs. The ISD assures that a weapon functions only when it is supposed to, and is resistant to unintended electrical signals, such as lightning strikes. As a result of the success of these efforts, Orbital ATK is now a recognized world-leader in IM technology. This month, the Insensitive Munitions European Manufacturers Group (IMEMG), the US National Defense Industrial Association (NDIA) and the Munitions Safety Information and Analysis Centre (MSIAC), are hosting a joint industry/government symposium on Insensitive Munitions and Energetic Materials in Rome, Italy. Orbital ATK is a sponsor of the event, which will be attended by Missile Products’ Director of Business Development Melissa Hobbs-Hendrickson, who co-chairs the NDIA Committee and chairs the Conference Session and Poster Session. With work on IM and other safety measures, Orbital ATK hopes to not just prevent the kind of tragedies we have seen in the past, but to honor their memory and never forget their significance. As is the case with the brave men of the USS Forrestal whose memory is honored each July at Naval Station Norfolk in Virginia. There, the annual USS Forrestal Memorial Ceremony is held, appropriately, at the Farrier Firefighting School, named in honor of the sailor who charged into harm’s way for the safety of his shipmates.